It is hard to believe that the National Football League regular season is seven weeks from being over, but we have seen a lot of marquee plays and teams rise from nowhere to lead their respective divisions. For Nick Saban, the head coach for the University of Alabama football program takes pride in watching his former players dominate on Sundays. He has had his share of talented guys, with even more coming, advance to the professional level and become instant stars to a franchise. 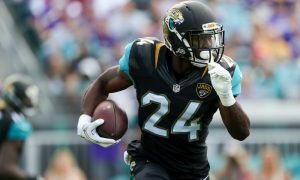 As we honor our veterans this week, let’s look at some of the biggest standouts from Alabama football in the NFL in week ten. Chicago knows it got a steal in the fourth round of the 2017 NFL Draft with Eddie Jackson, and in pairing the safety with Khalil Mack at linebacker, the Bears are tearing up the NFC North. Jackson recorded six total tackles and one pass breakup in the team’s 34-22 win over Detroit at Soldier Field. 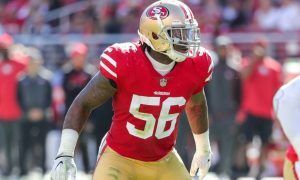 In his second season, he stands fifth on the team in tackles (29) and has one sack, two tackles for loss, four pass breakups and two interceptions. With Jackson roaming the secondary, the Bears are 6-3 and have the potential to make a strong run in the playoffs. As great as Alvin Kamara is, quarterback Drew Brees and the Saints are happy to have Mark Ingram back toting the football. After serving a four-game suspension for violating the league’s substance abuse policy, the former Heisman Trophy winner turned in his first marquee performance of this season in a 51-14 victory for New Orleans against Cincinnati. He tallied 104 yards rushing on 13 carries, netting an average of eight yards per rush. 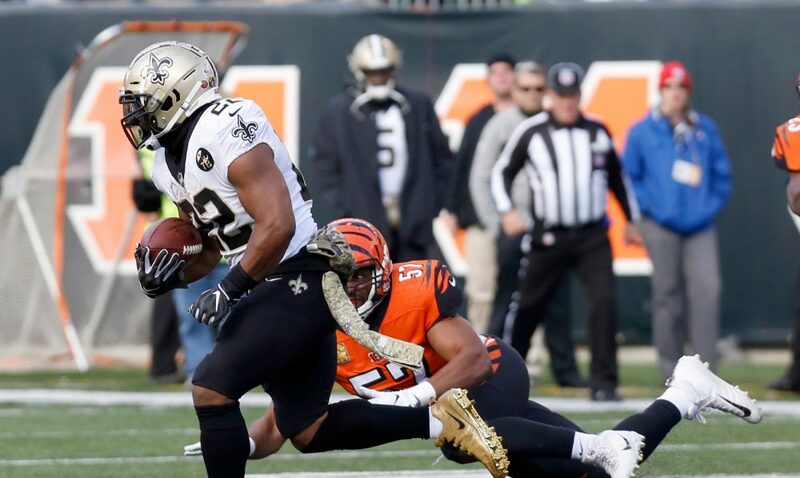 Ingram was sharp with cuts and decision-making abilities, and having a fresh body behind the offensive line disrupted the Bengals’ front seven on defense. His outing helped the Saints improve to 8-1 as it has a firm grip on the NFC South. The tandem of wide receivers Julio Jones and Calvin Ridley is the only thing keeping Falcon fans breathing in Atlanta, as the season has not gone according to plan. While the team is 4-5, Jones amassed his fifth 100-yard game of the year versus Cleveland with seven receptions for 107 yards and one touchdown. Regardless of the Falcons losing the matchup, 28-16, Jones became the fastest receiver to 10,000 yards as he is at 10,094. The fastest player ever to reach 10,000 career receiving yards. And he’s made them count. He sits at 933 yards receiving with two scores on 60 catches, and is 67 yards shy from having his fifth consecutive 1,000-yard campaign since 2014. Whether he chooses to remain in Atlanta is the question, but Jones is the lone thing keep fans entertained at Mercedes-Benz Stadium. Mike Vrabel has not used him the way people thought he would, but Derrick Henry unleashed some anger versus the New England Patriots. For Vrabel, he witnessed the team that he won multiple Super Bowls with as a player give up two rushing touchdowns to Henry on 11 carries. The @titans go wildcat with @KingHenry_2… SIX! 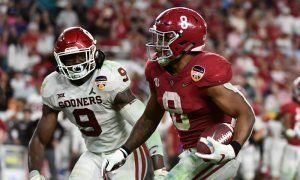 Alabama’s second Heisman winner led the Titans in rushing with 58 yards on 5.3 yards per attempt, assisting quarterback Marcus Mariota and the team to a 34-10 win. Hopefully, this will spark the coaching to trust Henry more with the ball. 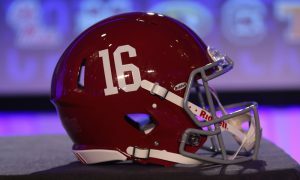 The hearts of Tide fans melted upon hearing this news. 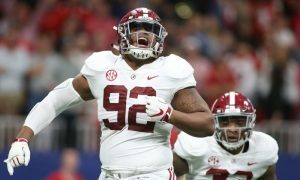 Due to injuries and not getting the ball enough at Alabama, Robert Foster was not drafted and would be cut from the Bills’ roster after being signed as an undrafted free agent. He must have divine intervention on his side, as the speedster was brought back to the team for its divisional matchup against the New York Jets. Foster became the first offensive player this season to record 100 yards. He accounted for 105 yards receiving on three catches and guided Buffalo to a 41-10 blowout win. Foster was targeted four times and averaged 35 yards a catch. Mike McCarthy is probably kicking himself for the franchise’s decision to trade safety Ha’Sean “Ha Ha” Clinton-Dix, but he can’t cry over it now. 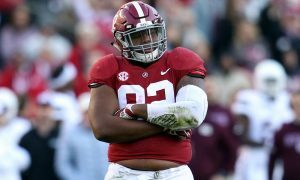 The former All-American is with the Washington Redskins and is enjoying his time to catch up with other stars that played for the Crimson Tide. 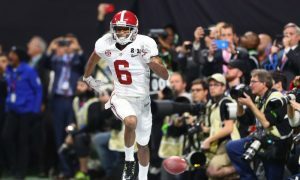 Head coach Jay Gruden saw his latest addition to the Alabama wall post eight tackles with a pass breakup in Washington’s 16-3 victory over the Tampa Bay Buccaneers. As he continues to adjust, Clinton-Dix will only get better. A good thing about him leaving Green Bay is now he’s part of team that is heading in the right direction toward the playoffs. Should the offense grow more under Alex Smith and the defense continues to stifle opponents, this could turn into the most productive season for this franchise in a long time. The Redskins are 6-3 and are leaders of the NFC East. 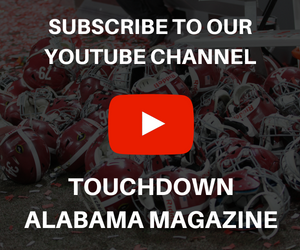 Stephen M. Smith is the managing editor and senior writer for Touchdown Alabama Magazine. You can “like” him on Facebook or “follow” him on Twitter, via @CoachingMSmith.